Meaningful ideas on how to bond with your dog. Why train your dog at home? Bonding with your dog is something every dog owner should achieve in their dogs life span. It might seem difficult due to the literal language barrier so below we have detailed a few ways you can not only achieve this but also get in some great dog training! 1. Go camping. If you have a dog or puppy that loves the outdoors and so do you then this would be the ideal gig for both of you. Pack the charcoal and tents and find a dog friendly camp site to go to. Any dog friendly camping ground would be ideal - just sit back with your dog and enjoy nature. 2. Not keen on camping but hiking is your thing? 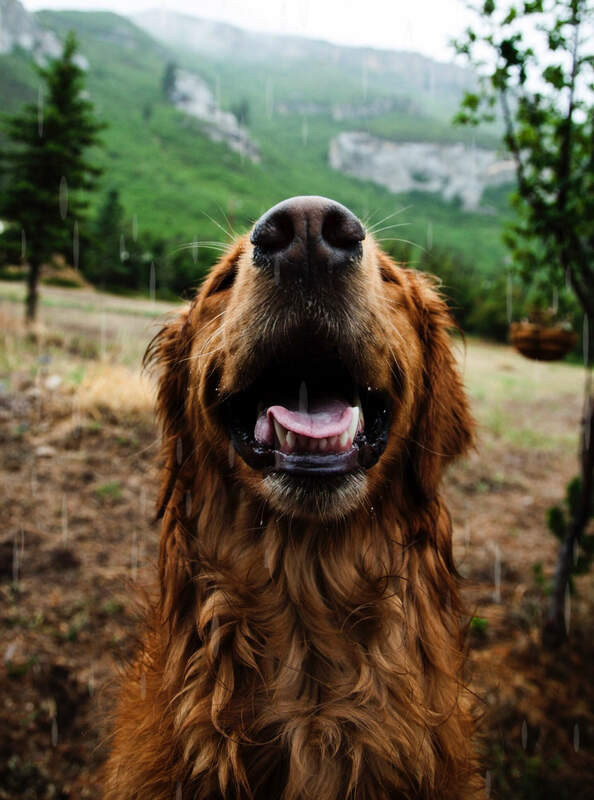 Go hiking with your dog! Pack your hiking gear, grab your pooch and run for the hills, it will be a blast for both of you. And on the plus side your dog will get extra time outdoors and will also be able to see the world for them selves. 3. Movie time. Is it raining outside? Cold? Or are you just feeling a bit down and out? Now is the perfect time to show your dog how much they mean to you by bringing them into the house and having some alone time with them. You can make snacks for the both of you and watch a movie or even just read a book. 4. Popping out to get some groceries or are you going to a restaurant? Why not take your dog with you. If it is a pet friendly area you are going to now is the perfect time to get some exposure for your dog and also practice some dog training with them in a public space. 5. Dog training. Got nothing to do on a Saturday? Great! grab your dog and pop on down to your local dog park and practice some dog training. Dog training has always and will always be an ideal way to bond closer with your dog. Bonus tip: Load shedding. Yes, we had to mention it! Should you get load shedded and still have enough natural light outside why not spend this time with your dog? You can go for a walk, get some dog training in or even organize a braai where everyone can pop by with their dogs - this is a great excuse to get some doggy socializing in and have a great time! Check us out for daily updates, advice and specials!